Used at the time of natural calamity and disaster, the relief tents give quick shelter to the affected and homeless people. 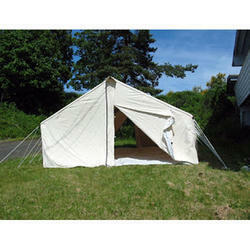 These units are very easy to set up and provide emergency relief to the homeless from the rain, sun and cold weather. We make them in water-repellent canvas and also HDPE.